Home Lead Generation Are You Utilizing Social Media Effectively to Boost Your Auto Sales Leads? 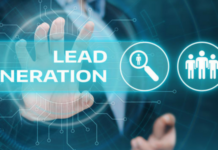 The quest for improving the quality of leads and the sheer number of them continues for car dealers. Thanks to social media, we’ve got a continuously evolving medium through which we can gain more traction with consumers. How can you use it to boost your auto sales leads game? Social media is, of course, not a new channel through which you reach out to your target market. However, if you’re still using it the way you did five years ago, it’s time to try some new tactics to improve your approach. Almost 76 percent of buyers feel social media is a place where they can have a conversation that helps them with the car buying process. They use it to develop relationships with brands, so if you aren’t extending this means of communication to its fullest extent, you’re losing out. Being responsive and asking questions can improve the number of leads you get through social media. This is an area that many dealerships struggle with as 63 percent of marketers say generating traffic and leads is a pain point for them. 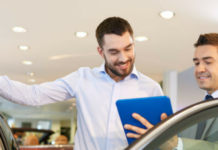 Consumers are hungry for information, especially when it comes to buying a vehicle because it’s likely the second biggest financial commitment they will make in their lives (after buying a home). When you establish yourself as a thought leader, you’ve put your brand in a place of respect, and consumers will know if they have a question about anything automobile related, they can ask you. Social media is an excellent place to establish yourself as a thought leader. You need to develop content that touches on relevant topics of the day, whether it’s about the future of self-driving vehicles or the state of auto design trends today and into the future. Much of what you do on social media can be free if you don’t count the staff hours that go into it. However, you can also put some advertising dollars there and see an excellent return on that investment. The reason it’s so effective is that you can target the exact audience you know will be interested. In fact, ads are now designed for lead generation, like with Facebook’s Lead Ads, which is basically gated content. Facebook does a lot of the work for you with automated tools. How are you utilizing social media at your dealership to help you generate leads? 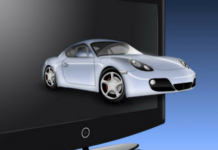 Previous articleAre You Looking for Ways to Increase Your Auto Sales Leads?